Hotel is very near to the Airport terminal 2. Near to the hotel lot of restaurants available, especially south indian restaurant. Nearby supermarkets are available. Rooms are big and clean. Room bed linen and towels are fresh. Hotel has lot of night clubs and bar near the pool area. I first stayed here many years ago for business. I enjoyed my stay back then and just booked a quick over night stay. The staff is wonderful. One remembered me from before. Kinda felt like I was home again. The hotel is minutes from Terminal 2 and maybe 10 minutes from Terminal 1 and 3, depending on traffic. Will definitely be back and stay longer. Did not address our concerns and kept telling us that it was all in our head. My wife had sinus issues and air comditioning was not fixed inspitecof atleast ten requests. A request to change room was denied. We had to suffer two days in a row with no resolution. The attitude from the staff was not helpful and did not make us feel welcomed. Would not go there again unfortunately. It was substandard service. All shift staff kept diverting our requests and made us think that the problem did not exist but was a product of our imagination. Very disappointing. Good location, great staff(special mention to miss Mina). no respect for the guest, looking at guest by so many stuffs, room was not ready so i had go to other hotel, i was told to call my dealer while they had to. 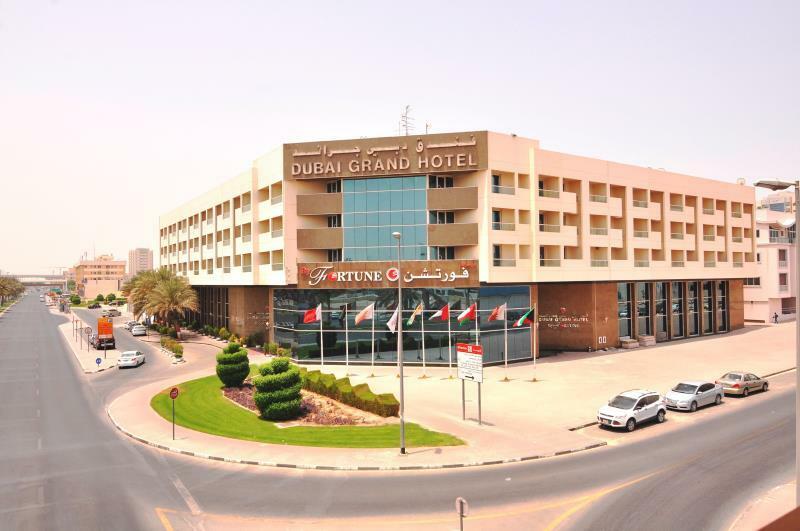 Dubai Grand Hotel by Fortune offers the best value-for-money. Staff is absolutely amazing, the friendliest in the whole of Dubai and no request is too much! Although not a modern state-of-the-art facility, everything you need is right there. 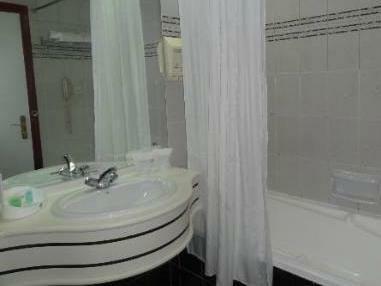 It is conveniently close to the airport (only about 10 minutes cab-ride at AED12.) The facility is licensed for liquor-consumption and the many restaurants in the hotel offer a great menu-variety. Best curry in Dubai was enjoyed at Desi Dhaba Restaurant, which incidentally has a great Lunch-Offer on a daily basis. Breakfast-menu is definitely for guests with and Indian-food palate and seems to not vary regularly much. Overall, great staff at this establishment makes this a return-to-destination, for sure! Very Poor service from senior Reception Staff including the floor manager. The brash and arrogant behaviour of the senior female at reception was enough to spoil my trip to Dubai. Clearly indicative of the Hotels lack of attention to staff training. Unfortunately I was witness to many international travellers being treated very poorly at reception. The presence of Security staff pacing the corridor outside rooms was intimidating and uncomfortable. The rooms were clean and the ground floor service staff were very helpful and pleasant. The restaurant is excellent and the food (although specifically India cuisine) was great. Hotel is good and staff incredibly helpful and perfect five star service, there were great places to eat nearby. Disappointment for internet is chargeable and very high cost. Towels should change its very old. I had an 11-hour layover at DXB and rather than sit in the airport for 11 hours, I thought it better that I'd just find a cheap hotel and get a shower and be able to lie down while waiting for my next flight. Well, found it! It was okay for an 11-hour layover. The cost for the taxi was 50 AED from the airport (you know taxis will levy their 'airport fee'), but only about 30 AED heading back to Terminal 1. So, overall, it wasn't a bad deal to spend less than $70 (total) for the hotel and transportation instead of sitting at the airport for half a day. My flight arrived after midnight so this hotel was a convenient, close to the airport stop. The room while clean smelled of stale cigarette smoke. There is a club downstairs or nearby so there was the dull thump of music until I am not sure when. This is an indian hotel basically. Indian food and no varieties. Indian TV channels, filthy bathrooms and dirty parking place. Shower has no enough water pressure. Valet parking has no enough drivers to attend. Apart from that excellent property to stay. สถานีรถไฟใต้ดิน Dubai Airport Free Zone - ระยะ 0.75 กม.